The Disabled Passenger Shuttle Service is available 24 hours per day, 7 days a week to and from the Long Term Lot. Anyone needing the Shuttle service should call Republic Parking at 601-932-6520. Call Republic Parking at 601-932-6520, and request the Disabled Passenger shuttle service. The Republic Parking Airport Shuttle will meet you at the lower level passenger shuttle stop. The shuttle driver will take you to your vehicle. You may park in one of the reserved Disabled Parking spaces. You may experience a 15 minute wait or call 601 932-6520 for immediate shuttle service. The shuttle driver will take you to the lower level of the terminal. 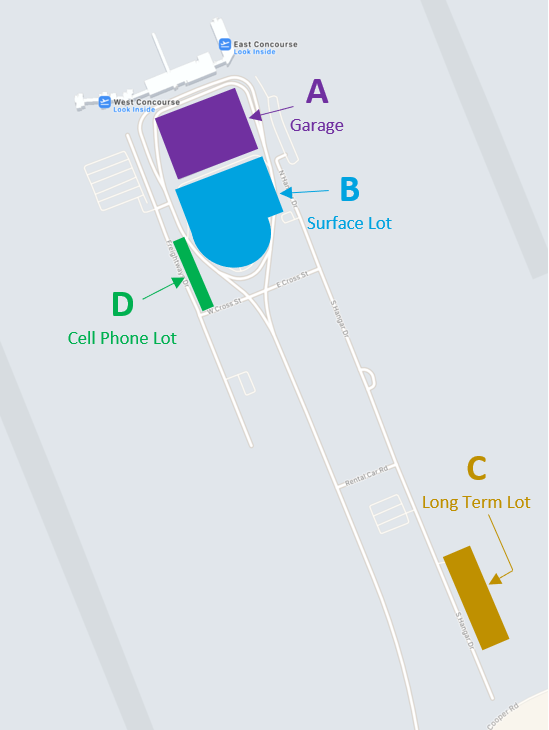 The rental car counter is located on Terminal Level 1 across from the baggage claim area. Click on a rental agency’s name to reserve a car online.